The Imperial Ambassador, Eustace Chapuys was a staple at court during the reign of Henry VIII. Chapuys had a close relationship with both Katherine of Aragon and her daughter Mary, because of Katherine’s roots in Spain. While researching Eustace Chapuys I came across a story written by a Spanish chronicler that I had to share my take with you. 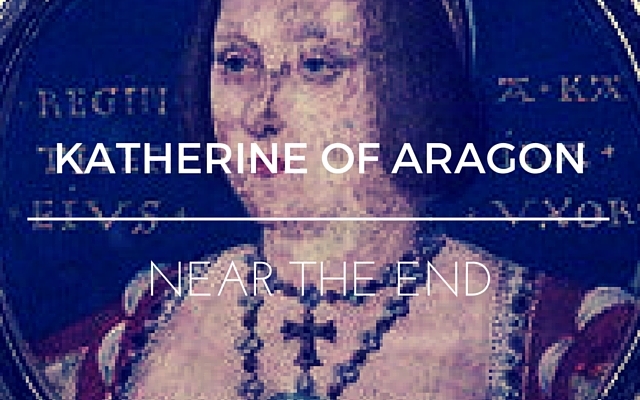 It will give you a little insight into the relationship between Katherine, the Imperial Ambassador and Spain. This story should give you an idea of the politics of court-life and the relationship between Katherine, Chapuys and her fellow Spaniards in England near the end of her life. 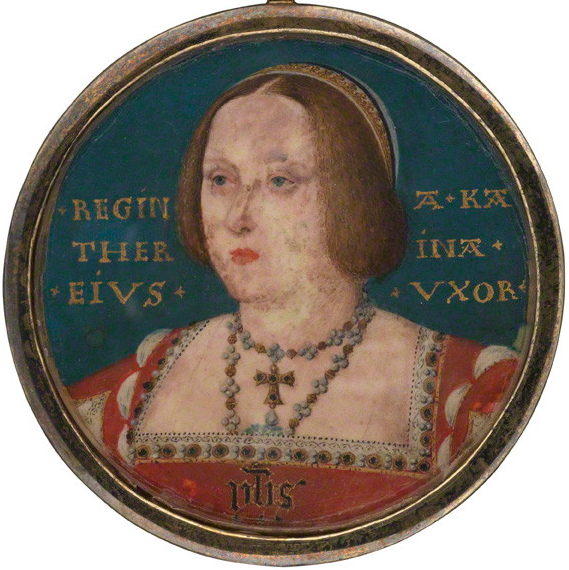 Around 1532, when Henry VIII requested Katherine of Aragon return her jewels to the crown she fell ill soon after. 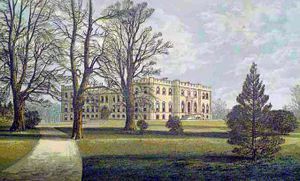 To be quite honest, Katherine was already ill. She had made a request to see her good friend the Imperial Ambassador, Eustace Chapuys. Chapuys, wanting to following court rules, requested permission from the King to see Katherine of Aragon at Kimbolton. The chronicler reported Henry VIII saying, “Yes, Ambassador, you have my permission; I will send you word when you can go.” Henry did not send word. Chapuys requested leave many times and yet received no word from the King. Eventually Chapuys sent word to the King that he was leaving – he was tired of waiting. If, while on the road, he received word from the King of England he would surely obey it. On his way out of London, Chapuys gathered as many Spanish merchants as he could that would accompany him to Kimbolton. There were nearly “a hundred horses” in his company. The spirit of the group was high and they were very happy and excited to visit Katherine, their queen. Once King Henry received the message from the Imperial Ambassador he was determined to not allow him to see Katherine. He understood the danger of having a Spanish Ambassador speaking to the wife he had thrown aside. The King sent a man by the name of Thomas ahead of Chapuys to arrive at Kimbolton in advance to send the message that Chapuys was not to be permitted to visit the Queen. While Chapuys was slowly traveling to the castle he saw this man (Thomas) pass him on the road – Chapuys seemed to understand what the man’s mission was and had one of his servants follow him to confirm his suspicions. Katherine was aware that her friend, the ambassador would soon arrive with such great company that when she received word that he could not enter it devastated her. I can only imagine how lonely she was for a familiar face, and a friendly one at that. Chapuys was ordered to stay four miles from the castle. Why four miles? I assume that is where they were stopped from their forward progress. That evening Katherine send food and wine to her Spanish friends and begged them to have good cheer. It was that night that the Spaniards told Chapuys that only HE was not allowed to see Katherine, not them. They informed him that they intended to continue to Kimbolton, which they did. The next morning about thirty men began their adventure to see the Queen. With them they brought what seems to have been the ambassador’s fool – or a fool nonetheless. This man was dressed as a fool and had a padlock hanging from his hood. When the men arrived at Kimbolton they rested for a bit until they saw ladies in the window. That is when the fool decided he had to get to the ladies immediately. Being the fool he was , he started toward the moat (getting in the water) and there was great concern from the other men in the party that he would drown. When the men pulled the fool out of moat they removed his padlock and threw it at the window with the ladies; They yelled at the ladies that next time they would bring them the key. The padlock did not make it to the window but fell to the earth on the other side of the moat. Some of the castle servants saw where the padlock had fallen and immediately went to grab it. They assumed that it had a note within it for Katherine. They immediately sent it to the King to be examined, and no note or letter was found. In the meantime, back at the castle, the Spaniards had approached the gate and were welcomed inside. Katherine’s ladies were sent to greet them and they were fed a great breakfast in the lower hall. While the men were having breakfast the fool decided to visit the castle barber for a problem he was having. He made signs to the barber that indicated that he may have a toothache. The barber took pity on the man and wanted to help him. He sat the fool down and attempted to stick his fingers in his mouth to see what the problem was, this must have caused pain to the fool because he clenched his teeth and screamed out in pain – at the same time the poor barber also screamed in pain for having his fingers bitten. The ruckus that ensued aroused the attention of others having breakfast that they came to see what the problem was. When they discovered it to be the fool they all had a good laugh. They then returned to finish their breakfast before leaving the castle. When the men returned to Chapuys they told him the stories of what had happened and all had a great laugh about it – they then returned to London. Nothing more is mentioned by the chronicler of what had been discussed, or if the Queen was present. About eight or nine months later the King informed the Imperial Ambassador that Katherine was very ill and soon to die. He gave him permission to see her. Chapuys arrived at Kimbolton on New Years Eve 1535. Katherine was very pleased to see her great friend that she did not want him to leave – every time he attempted to leave she would ask him to stay. Katherine’s spirits seemed to improve. The chronicler also suggested that the fool had also accompanied Chapuys on this trip and was there to amuse Katherine. It is noted that she enjoyed his company. It appears that Chapuys left after Katherine’s doctor assured him that she was better and he need not fear to leave her. She died (7 January 1536) shortly after and it is believed that Chapuys was in London at the time of her death. ← Anne Boleyn: What Did She Really Say? In reading this Article …. I had to giggle at the part where Chapuys men told him that he couldn’t see the Queen… but nothing was said that they couldn’t! Thought that was kind of funny! But thought very sad Henry gives permisstion to see the Queen only when she is sick and dieing.So sad. Henry could be very cruel when he wanted to be espeacualy when it came to Katherine, And Mary. Loved this article very much!! I agree he was very cruel especially when they genuinely loved each other at the start of their marriage such a shame! I love the posts that appear regarding the Tudors. Is there any chance that a podcast might be somewhere in the future? Thanks again. Possibly. I’m always willing to do new things but it may be awhile. I tried a video blog and that didn’t get enough views for me to continue. That was a real torture ! Poor Queen Katherine !